How is hip dysplasia treated without surgery? Treatment for adolescent hip dysplasia focuses on delaying or preventing the onset of osteoarthritis while preserving the natural hip joint for as long as possible. Your doctor may recommend nonsurgical treatment if you have mild hip dysplasia and no damage to the labrum or articular cartilage. Nonsurgical treatment may also be tried initially for patients who have such extensive joint damage that the only surgical option would be a total hip replacement. Observation. If you have minimal symptoms and mild dysplasia, your doctor may recommend simply monitoring the condition to make sure it does not get worse. You will have follow-up visits every 6 to 12 months so that the doctor can check for any progression that may warrant treatment. Lifestyle modification. Your doctor may also recommend that you avoid the activities that cause the pain and discomfort. For someone who is overweight, losing weight will also help to reduce pressure on the hip joint. Physical therapy. Specific exercises can improve the range of motion in the hip and strengthen the muscles that support the joint. This can relieve some stress on the injured labrum or cartilage. Medications. Nonsteroidal anti-inflammatory drugs (NSAIDs), such as ibuprofen and naproxen, can help relieve pain and reduce swelling in an arthritic joint. In addition, cortisone is an anti-inflammatory agent that can be injected directly into a joint. Although an injection of cortisone can provide pain relief and reduce inflammation, the effects are temporary. 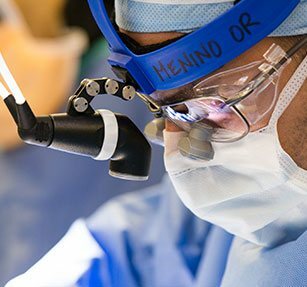 What surgical treatments are available for hip dysplasia? Currently, the procedure most commonly used to treat adolescent hip dysplasia is a periacetabular osteotomy (PAO). "Periacetabular" means "around the acetabulum." In most cases, PAO takes from 2-3 hours to perform. During the surgery, the doctor makes four cuts in the pelvic bone around the hip joint to loosen the acetabulum. They then rotate the acetabulum, repositioning it into a more normal anatomic position over the femoral head. The doctor will use x-rays to direct the bony cuts and to ensure that the acetabulum is repositioned correctly. Once the bone is repositioned, the doctor inserts several small screws to hold it in place until it heals. Labral refixation. In this procedure, the doctor trims the torn and frayed tissue around the acetabular rim and reattaches the torn labrum to the bone of the rim. Debridement. In some cases, simply removing the torn or weakened labral tissue can provide pain relief. In most cases, full weight-bearing will not be allowed on the operated leg for 6 weeks to 3 months while the bones heal in their new position. During this time, you will need to use crutches. About 6 weeks after surgery, you will have a follow-up visit with the doctor. X-rays will be taken so that the doctor can see how well the PAO has healed. During your visit, the doctor will determine when it is safe to put weight on the leg and when physical therapy can begin. The physical therapist will show you specific exercises to help maintain range of motion and restore strength and flexibility in the hip joint. How successful is surgery for treating hip dysplasia? PAO is usually successful in delaying the need for an artificial hip joint and relieving pain. Whether or not a total hip replacement will be needed in the future depends on a number of factors, including the degree of osteoarthritis that was present in the joint when the PAO was performed.